We are a leading Manufacturer of electric cable making machine from Umbergaon, India. We are the leading manufacturer of Electric Cable Making Machine. Dealing in one of reliable quality and compliance. We havecustomised range in wire and cable extruder machine. 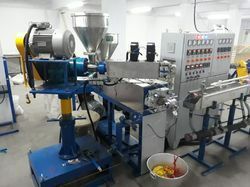 Looking for Cable Extruder ?